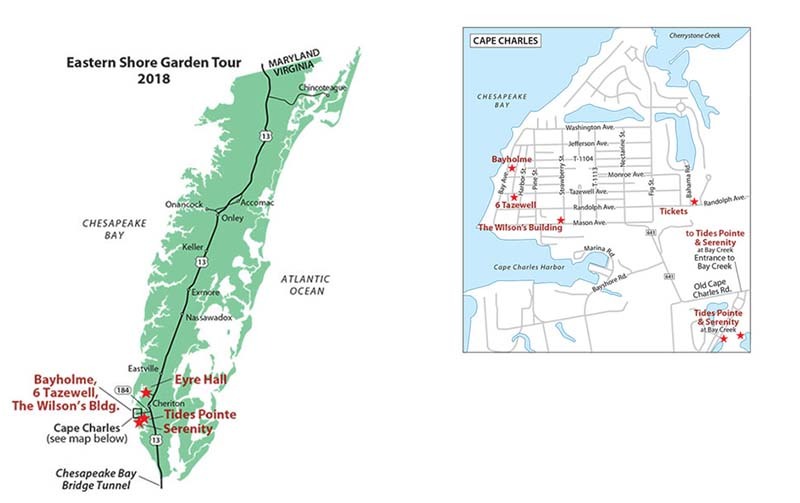 This year’s tour features 6 properties within close proximity to each other, including Eyre Hall, and is focused on the community of Cape Charles. The Eastern Shore lies between two marvels: a link to the mainland by one of the longest bridge-tunnels in the world to the south, and a link to outer space via a NASA rocket pad to the north. In between is a land known for the warmth of its residents, the serenity of its waterfronts, the richness of its land and, most especially, the charm of its homes – exemplifying the fine maritime, railway and agricultural heritage of the Eastern Shore. This year’s tour features some of Cape Charles’ most beautiful homes, including Eyre Hall, Bayholme, and Tides Pointe in Bay Creek.